In just over a month's time, this little space of the web will be celebrating its eighth anniversary. It's been so much fun sharing recipes with you, learning a little more about writing and photographing food as the years have gone by. I also love checking out which posts were your favorites each year, since it helps me decide what I should create more of the next year! When I scoured my analytics to see which recipes that I shared in 2016 were the most popular, I thought it very cool that of the top 10, half of those were recipes that I created to accompany a work of fiction (like a movie or television show - no books in the top 10 slots this year). Since that's a pretty accurate representation of the recipes I love to create and share with you, it brought a huge smile to my face. If there's ever a work of fiction that you'd like to see me create recipes for, be sure to leave me a comment, reach out on social media, or shoot me an email! 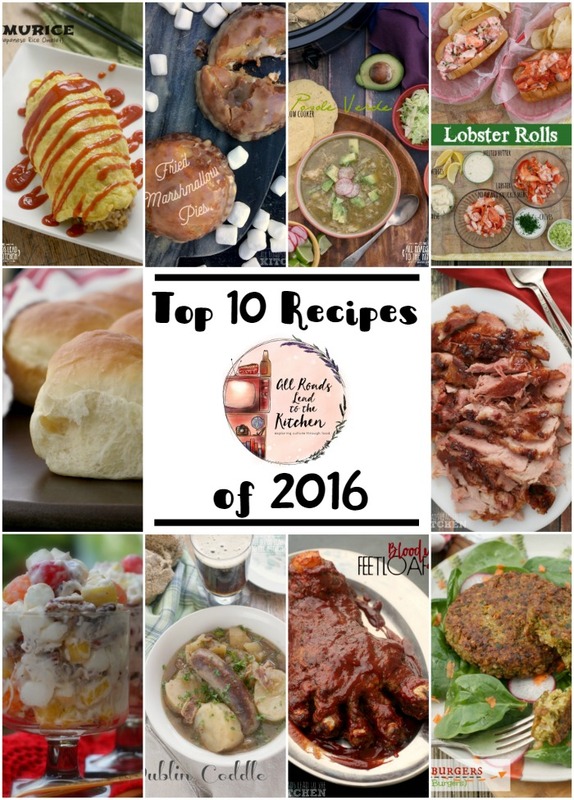 But now, I hope you'll enjoy looking back at the 10 most popular recipes shared on All Roads Lead to the Kitchen in 2016 (just click the recipe title to get the recipe)! 10. 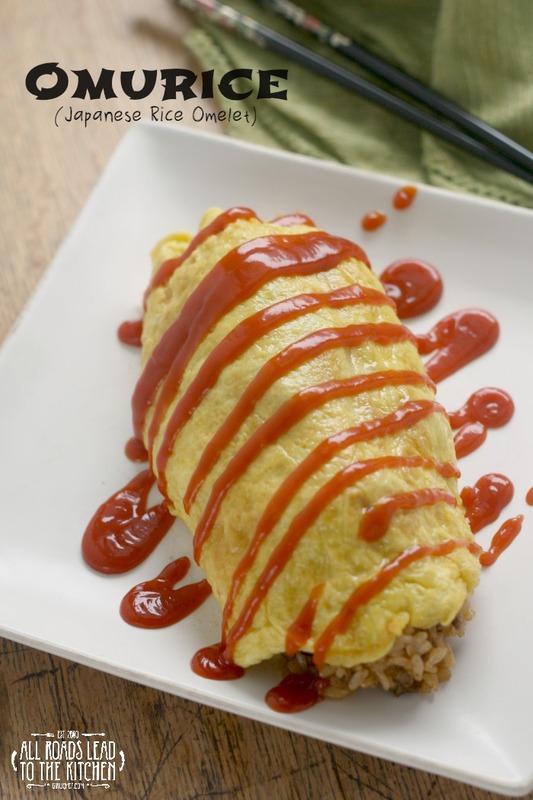 Omurice (Japanese Rice Omelet) inspired by Tampopo - Made popular in western-style Japanese restaurants, Omurice is a thin omelet wrapped around ketchup fried rice and topped with more ketchup. This recipe was inspired by a Food 'n Flix pick (and major foodie film). 9. 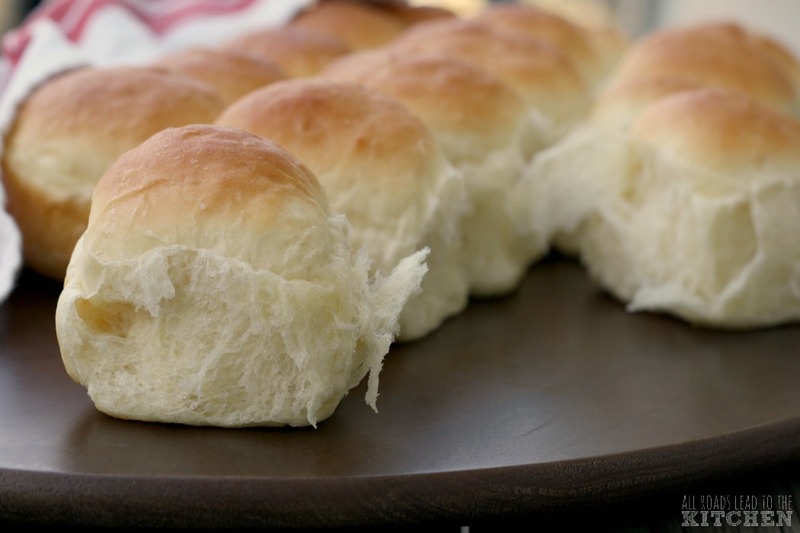 Soft Pull-Apart Dinner Rolls inspired by Gilmore Girls - Inspired by the two Thanksgiving episodes of Gilmore Girls (and Lorelai and Rory's impressive penchant for putting away food), these soft, fluffy dinner rolls are started in a bread machine and finished in the oven. 8. 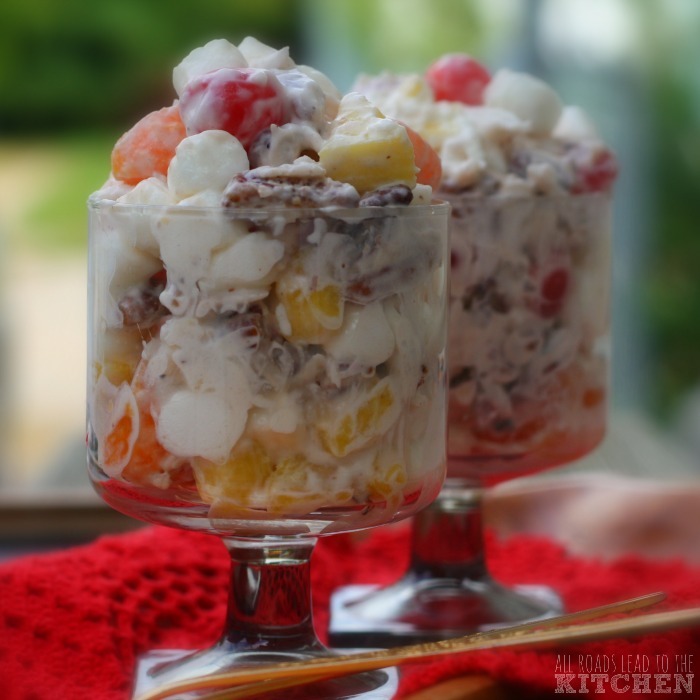 Ambrosia Salad inspired by Edward Scissorhands - This retro dessert is updated with fresh clementines, pineapple and coconut with maraschino cherries, marshmallows, and toasted nuts folded into a whipped cream and sour cream mixture. And if you ask me, it looks miles better than Joyce's famous ambrosia salad from Edward Scissorhands (a Fandom Foodies #Burtoween post). 7. 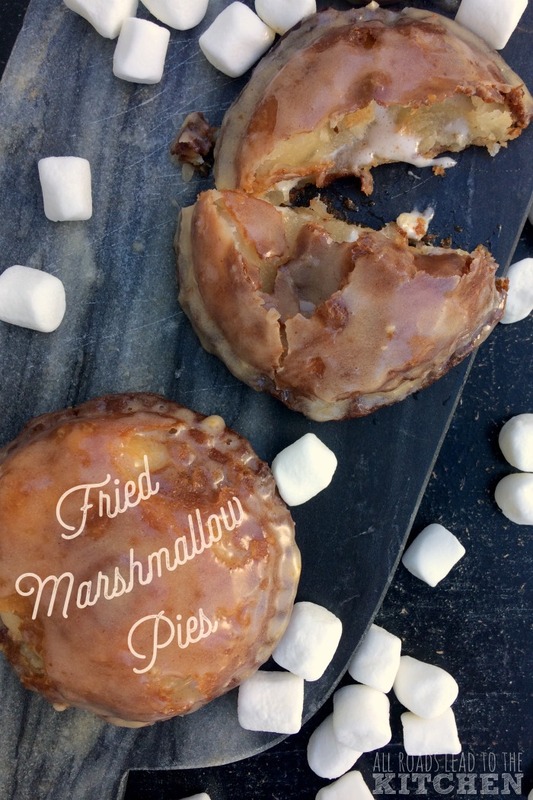 Fried Marshmallow Pies inspired by Gilmore Girls - I don't know of a single Gilmore Girls fan who isn't mesmerized, at least for a few minutes, by the thought of Sookie's Fried Marshmallow pie. I had to create some in the kitchen, and these mini pies have gooey melted marshmallows that are enclosed in this flaky, fried crust and before being covered in glaze. 6. 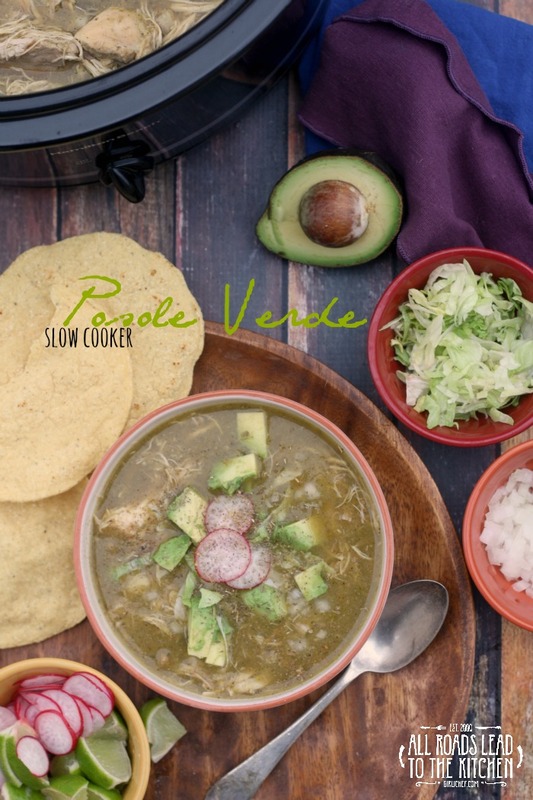 Slow Cooker Posole Verde - This slow cooker version of the traditional brothy Mexican hominy soup is loaded with tender pork and chicken and flavored with green chiles and tomatillos. In other words, comfort food at its finest. 5. Eastman's Oatmeal Burgers inspired by The Walking Dead - I wanted to try my hand at my own version of Eastman's Oatmeal Burgers from the extra-long episode from the sixth season of The Walking Dead. 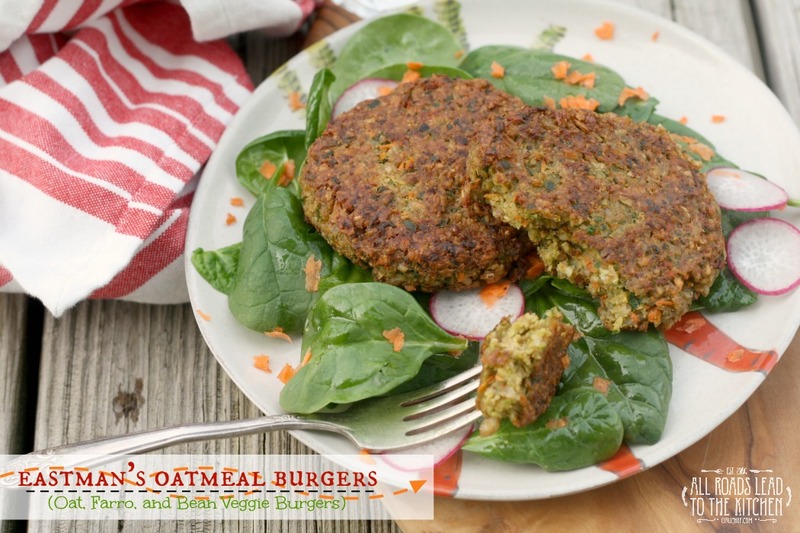 It's loaded with beans, farro, oats, and fresh vegetables, and they're simple to make. 4. 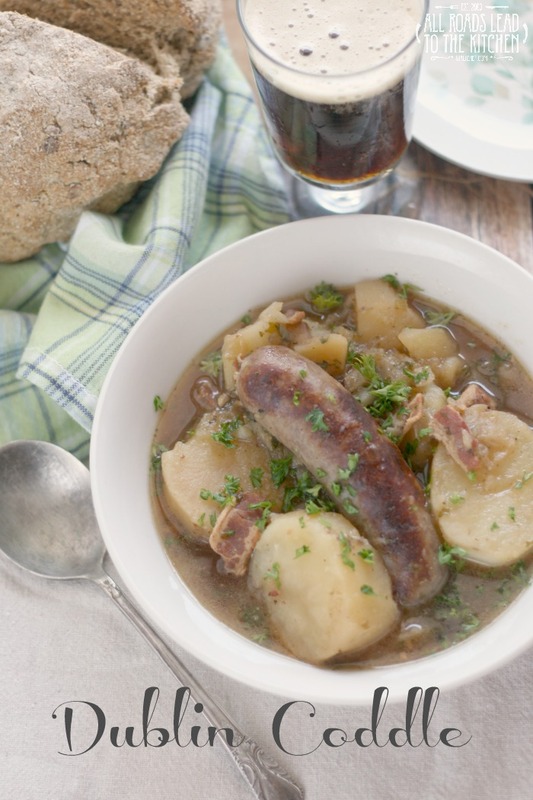 Dublin Coddle - Speaking of comfort food, this traditional Irish stew is made from a few simple ingredients that fill your belly and your soul. 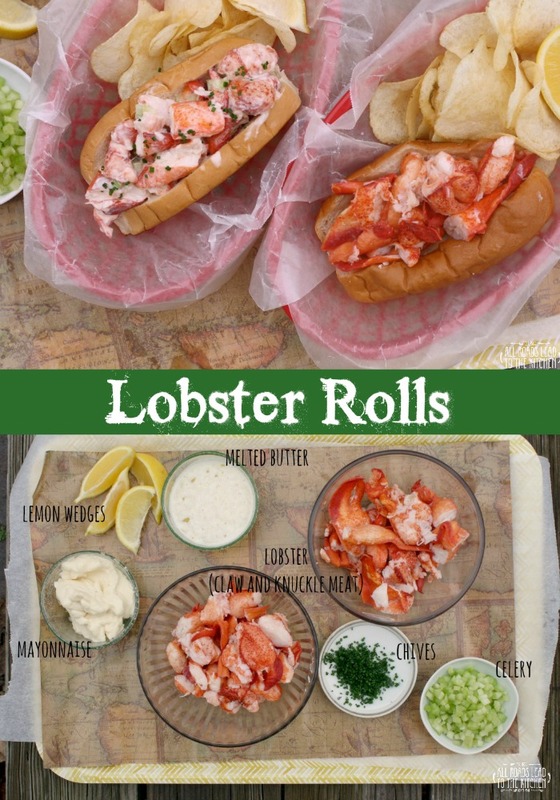 Add it to your St. Paddy's Day menu! 3. 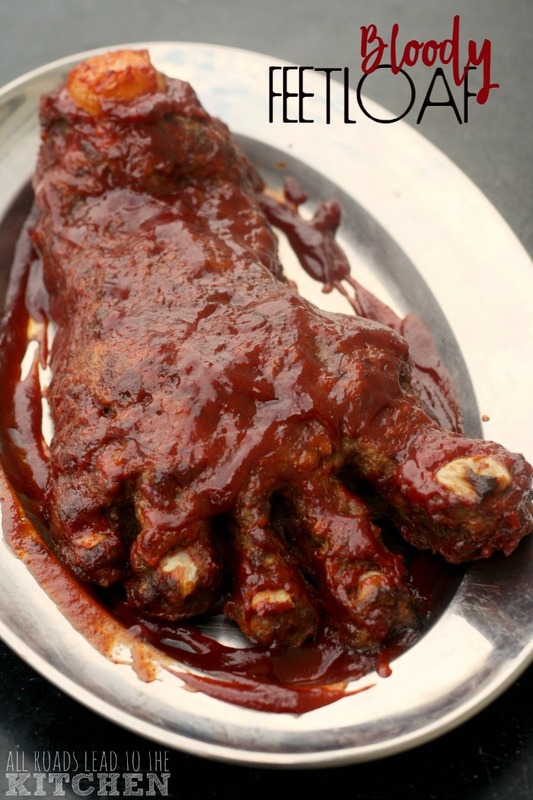 Bloody Feetloaf Meatloaf - Totally cringe-worthy and totally mouthwatering at the same time, this foot-shaped meatloaf is as fun to serve and it is tasty to eat. Surprise your family or guests with it next Halloween (or maybe a horror or zombie-themed party)! 1. Slow Cooker Christmas Ham - So, crazy story...I posted this recipe less than 3 weeks ago, and it's my number ONE viewed and visited post from the WHOLE YEAR! But, if you look at it, you'll probably understand why. Your slow cooker does the bulk of the work, you just have to do a little glazing in the oven to make that sparkling lingonberry-crisped skin. See you in 2017 - Happy New Year!